Murder, She Wrote társasjáték - Magyarország társasjáték keresője! A társasjáték érték! A Murder, She Wrote egy nagyszerű társasjáték, 4 - 6 játékos részére, az átlagos játékidő rövidebb, csak 1 óra. A társast, 10 éves kortól ajánljuk kipróbálni. A játékmenet erősen épít a forgass és mozgass mechanizmusra. 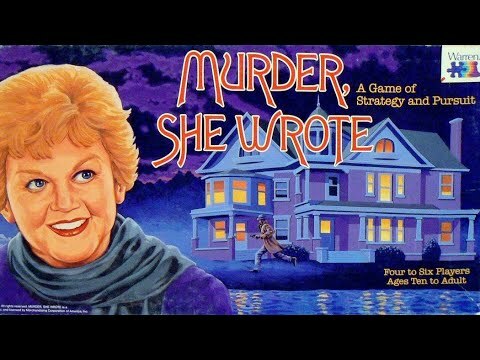 Based on the long-running hit CBS primetime series the ran from 1984 until 1996, one player is secretly and randomly chosen to be the murderer, the rest are detectives (Jessica Fletcher) trying to determine which player is the murderer. 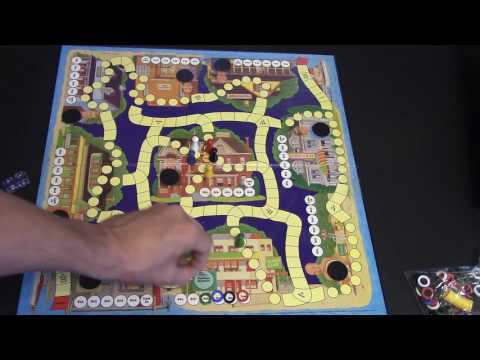 The murderer player wins if he/she can murder five witnesses and escape off of the game board before he/she is discovered. A detective player wins by being the first to correctly deduce the identity of the murderer, before the murderer escapes. Players mark which locations they have visited and in which order. This information, along with the living or dead status of the witnesses, is used by the detective players to deduce who is the murderer player.